I'm grateful to the cantors, servers and of course Canon Francis Doyle, our celebrant at the 4th Sunday Mass [Missa Cantata] at Holywell which took place this morning. Below are some photographs of the Mass. Mass for the First Sunday of Advent will be celebrated on Sunday 27th November at St Winefride's, Well Street, Holywell at 1130am. "See the fig tree and all the trees: when they now shoot forth their fruit you know that summer is nigh; so you also, when you shall see these things come to pass, know that the kingdom of God is at hand"
This coming was expected for long ages; it was foretold by the prophets, and desired by all the just who were not granted to see its dawn. The Church commemorates and renews this expectation with each recurring Advent, expressing this longing to the Saviour who is to come. The desire of old was sustained solely by hope, but it is now a confident desire, founded on the consoling reality of the Redemption already accomplished. Although historically completed (twenty) centuries ago, this longing should be actualized daily, renewed in ever deeper and fuller reality in every Christian soul. O my God, Word of the Father, Word made flesh for love of us, You assumed a mortal body in order to suffer and be immolated for us. I wish to prepare for Your coming with the burning desires of the prophets and the just who in the Old Testament sighed after You, the one Saviour and Redeemer. “O Lord, send Him whom You are going to send…. As You have promised, come and deliver us!” I want to keep Advent in my soul, that is, a continual longing and waiting for this great Mystery wherein You, O Word, became flesh to show me the abyss of Your redeeming, sanctifying mercy. O Lord, give me love like this! I desire it ardently, not only to escape Your stern eye at judgment, but especially in order to repay You in some degree for Your infinite charity. O Lord, do not, I beseech You, permit that this exceeding great love which led You to become incarnate for my salvation, be given in vain! My poor soul needs You so much! It sighs for You as for a compassionate physician, who alone can heal its wounds, draw it out of its languor and tepidity, and infuse into it new vigour, new enthusiasm, new life. Come, Lord, come! I am ready to welcome Your work with a docile, humble heart, ready to let myself be healed, purified, and strengthened by You. Yes, with Your help, I will make any sacrifice, renounce everything that might hinder Your redeeming work in me. Show Your power, O Lord, and come! Come, delay no longer! In the history of every new community, the transition from the founder to the next generation of leadership is a positive sign of growth and maturity. I am happy to announce that the monastic community of Norcia has reached this important moment. When St. Paul talks about the transition of leadership in the church of Corinth, he writes: “I planted, Apollos watered, but God gave the growth” (1 Cor 3:6). We give thanks for the life of our community: for the planting, for the watering and for the growth that comes from God. In 18 years, a new life is conceived, cared for in the womb, coddled in the crib, accompanied on first steps, then school, and at last graduates from high school before moving on to college or the workforce. For our founder, Fr. Cassian, these last 18 years have meant all that labor multiplied many times over. 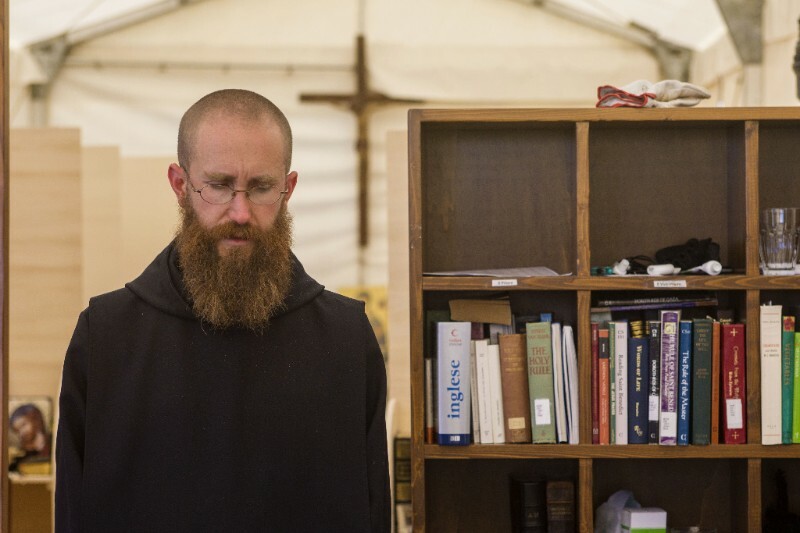 His indefatigable work to re-found traditional monastic life in Norcia gave to the Church signs of life for which his monks and Catholics worldwide are profoundly grateful. Now Fr. Cassian is giving another gift, and we hope not the last. In resigning and passing the custody of our monastic community to another, he is offering to accompany us as we continue to grow. Though he is retiring and will no longer serve as prior, he will continue to be, in an even deeper way, father to the monastery and the town of Norcia. 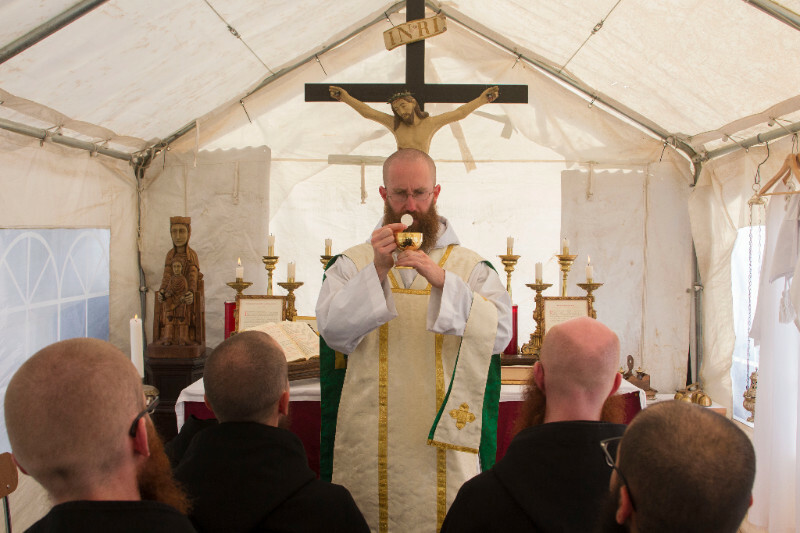 Following the earthquakes that destroyed our church and monastery, we monks have come to appreciate that the spirit of monastic life Fr. Cassian instilled in our community transcends walls and buildings. As Fr. Cassian once said, the monastery exists as a lighthouse. We exist as a lighthouse so that souls tossed about at sea might traverse the waves of this world and find rest in the harbor of God. But before we monks can summon others to shore, we must ourselves draw close to the light that is Christ. It is our vocation, our duty and delight to be always seeking Him. It is my honor and joy now to lead my brothers in our search for God, through His Son, Jesus Christ our Lord. For this I and my brother monks ask your continued prayers. About Fr. Benedict Nivakoff, O.S.B. Born in Stamford, Connecticut, Father Prior Benedict Nivakoff was baptized into the Catholic Faith at 12. He was educated by the Benedictine monks at Portsmouth Abbey School in Rhode Island. He graduated from the University of the South in Tennessee with a Bachelor of Arts in Medieval Studies. 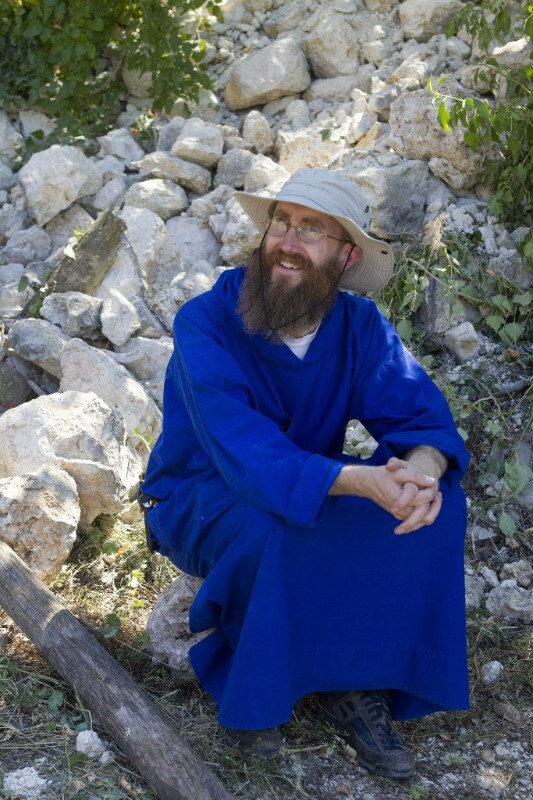 Immediately after he graduated, he joined the monastic community at Norcia. After making his profession in 2003, he studied philosophy at Santa Croce in Rome and theology at the International Theological Institute in Gaming, Austria. He was ordained a priest in 2008. Fr. Prior served as subprior at various stages since 2006 throughout Fr. Cassian's struggles with cancer. For the last 4 years, he has held the position of novice master. Besides these roles, he has been active in fundraising for the construction of the brewery and for renovations to the Basilica of St. Benedict, which was destroyed Oct. 30 during a powerful earthquake. He was appointed Prior of the Monastery of San Benedetto by the Abbot Primate Nov. 22, 2016, succeeding Fr. Cassian Folsom, O.S.B. SSPX to be invited home? The closure of the Jubilee Year of Mercy has now taken place and tomorrow, an Apostolic Letter "Misericordia et Misera" will be published. The rumour mill is now turning that the letter will contain something relating to the Society of Saint Pius X. If the rumour becomes reality (and actually even if it turns out to be gossip), I can only say that this pontificate never fails to surprise, rather like a fairground roller coaster for Traditional Catholics. Pray and wait and see! The number of the Sundays after Pentecost may exceed twenty-four and go up as far as twenty-eight, according as Easter is each year more or less near to the vernal equinox. But the Mass here given is always reserved for the last, and the intervening ones, whatever be their number, are taken from the Sundays after Epiphany, which in that case were not used at the beginning of the year. This however does not apply to the Introit, Gradual, Offertory and Communion verse, which as we have already said, are repeated from the 23rd Sunday. We have seen how that Mass of the 23rd Sunday was regarded by our forefathers as really the last of the Cycle. According to the teaching we have already pondered over, the reconciliation of Juda was shown us as being, in time, the term intended by God: the last notes of the Sacred Liturgy blended with the last scene of the world’s history, as seen and known by God. The end proposed by Eternal Wisdom in the world’s creation, and mercifully continued after the Fall by the Mystery of Redemption, has now (we speak of the Church’s Year and God’s workings) been fully carried out—this end was no other than that of divine union with human nature, making it one in the unity of one only body (Eph. 2: 16). Now that the two antagonist-peoples, Gentile and Jew, are brought together in the one same New Man in Christ Jesus their Head (Ibid. 15), the Two Testaments, which so strongly marked the distinction between the ages of time, the one called the Old, the other the New—yes, these Two Testaments fade away, and give place to the glory of the Eternal Alliance. It was here therefore, that Holy Mother Church formerly finished Her Liturgical Year. She was delighted with all She had done during all the past months; that is, at having led Her children, not only to have a thorough appreciation of the divine plan, which She had developed before them in Her celebrations—but moreover, and more especially, to unite them, by a veritable Union, to their Jesus, by a real communion of views, and interests, and loves. On this account She used not to revert again to the Second Coming of the God-Man and the Last Judgment—two great subjects which She had proposed for Her children's reflections, at the commencement of the Purgative Life, that is, Her Season of Advent. It is only since a few centuries that, with a view of giving to Her Liturgical Year a conclusion more defined and intelligible to the faithful of these more recent times, She closes the Cycle with the prophetic description of the dread Second Coming of Her Lord, which is to put an end to time and open eternity. A few photographs of our Requiem Low Mass held today at St Francis of Assisi, Llay. I believe the ability to have a Requiem for the dead of the two World Wars is unique to England & Wales. It is not mandatory, the remaining Sunday after Epiphany may be celebrated but it is a poignant day and the Holy Sacrifice of the Mass is the most fitting way of marking those who fell for our freedom. It also fits nicely with month of November and our remembering of the Holy Souls. Of course this does not occur in the Novus Ordo Mass, whilst there will have been references to the Remembrance Sunday at most Masses in the New Rite, the ability for Requiem Mass is not there. I am obliged to Canon Bernard Lordan for his continuing support for the Traditional Mass. I will utter things hidden from the foundations of the world. Jesus came to found a universal Church and to unite Himself with the individual soul. The Gospel is a “leaven” of Divinity hiding in the “three measures” of our intellect, will and body until our “whole” humanity is leavened. Like the tiny mustard seed becoming a large tree of shelter for the birds of the air, the Church, from humble beginnings in the Catacombs, has stretched out to undiscovered ends of foreign missions, her divine culture transforming or overcoming all human culture throughout nineteen centuries. The Epistle first describes the interior life of faith, hope and charity in the souls of the first lay converts to Christ, and then proceeds to describe their Christian Action in propagating the Faith, so that they “were a pattern” to all, and their neighbours ‘in Macedonia and Achaia” like “birds of the air” came and “dwelt in the branches” of the Church. [Although our 2nd Sunday Mass at Llay will be a Requiem for Remembrance Sunday, the above reflects that the Sunday is the XXVI Sunday After Pentecost: VI After Epiphany]. Thanks be to God for Magnanimity! In a new interview, Pope Francis criticized the "rigidity" of young people who are attached to the Traditional Latin Mass. "I always try to understand what's behind people who are too young to have experienced the pre-conciliar liturgy and yet still they want it," the pontiff said. "Sometimes I found myself confronted with a very strict person, with an attitude of rigidity. And I ask myself: Why so much rigidity? Dig, dig, this rigidity always hides something, insecurity or even something else. Rigidity is defensive. True love is not rigid." Pope Francis frequently criticizes faithful Catholics using this type of rhetoric. He has blasted the "excessive rigidity" of Catholics who believe in moral absolutes. “Traditionalists” with their “hostile inflexibility,” fail to allow themselves to be “surprised by God,” he said in 2014. In the same interview, Pope Francis said Vatican II's major liturgical changes "should carry on as they are." "To speak of the 'reform of the reform' is a mistake," he said. The "reform of the reform" is an expression inspired by Pope Benedict XVI to refer to a reform of the post-Vatican II liturgy that would make it more closely aligned with Catholic liturgical tradition. Following the Second Vatican Council, it was widely and errantly believed that the Old Rite of the Mass had been abolished or forbidden. In his motu proprio Summorum Pontificum, Pope Emeritus Benedict XVI clarified that both the Ordinary Form (post-Vatican II Mass) and Extraordinary Form (Mass according to the 1962 missal) of the liturgy are permitted and "there is no contradiction between the two editions of the Roman Missal." "In the history of the liturgy there is growth and progress, but no rupture," Pope Benedict wrote. "What earlier generations held as sacred, remains sacred and great for us too, and it cannot be all of a sudden entirely forbidden or even considered harmful." The annual Blessed Karl Mass is widely attended by young Catholics in the eastern United States. In the new interview, however, Francis describes Benedict's actions as an "exception" that was "magnanimous." Pope Benedict extended a "fair and magnanimous gesture to meet a certain mentality of some groups and people who had nostalgia. ... But it is an exception," Pope Francis said. In an essay on why she likes the Traditional Latin Mass, teenaged Anya Proctor wrote that she was driven to it by "weird" homilies about "other religions, the gospel of Judas, funny stories in the newspaper, irrelevant anecdotes, and even blatant heresies" and "a priest using props on the altar to demonstrate his homily—as if we were all five-year-olds." At the Traditional Latin Mass, "I came to know God," Proctor continued. "I got to fully experience Christ Incarnate in flesh and blood, on my knees, deep in silence and prayer — to meditate on his union with me as he was placed reverently on my tongue by his holy servant. I closed my eyes when I received Jesus. I felt physically, spiritually, and emotionally transformed. Many times in the Cathedral, tears have come to me as I have prayed and focused on Jesus’s love and sacrifice for me." "Mass is not intended to celebrate people," Proctor wrote. "That’s for luncheons, birthday parties, and maybe youth groups—but not Mass. The Mass is for the Lord. The Mass is where the priest is so reverent he faces the Lord, not the people, so that they don’t focus on him, but only on Christ." Juventutem ("youth" in Latin), an international federation of young people who attend and promote the Extraordinary Form of the Mass, has chapters around the world. "We are a group of Catholic young adults who seek to implement Summorum Pontificum in the Archdiocese of Washington," Juventutem's Washington, DC chapter explains. 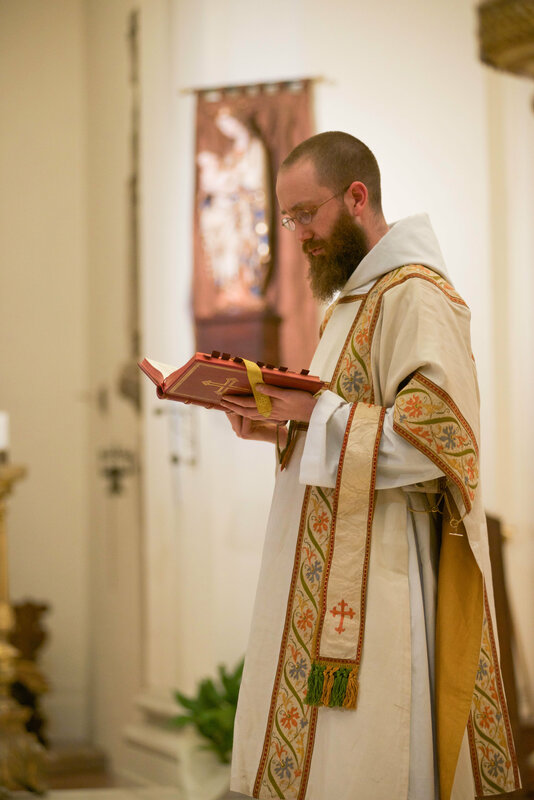 "We love the traditional Roman liturgy and seek to share it with the Church and the world. Come pray with us!" Juventutem's Boston chapter "promotes the sanctification of youth by means of the traditions of the Catholic Church, faithful to the Church’s teaching and her authorities, and in spiritual union with those young people throughout the world who share our aspirations...Juventutem Boston also dedicates itself to an intercessory apostolate, praying with and for our Bishops and Priests in union with His Holiness Pope Francis." Six hundred young adults attended traditional liturgies at World Youth Day this year. Father John Hunwicke provides his own comment on the comments of the Holy Father ﻿here﻿. While men were asleep, his enemy came and oversowed cockle among the wheat. On this Sunday mention is made of the practice of Christian virtues, and of God's sufferance of the wicked upon earth, that by them the just may be exercised in patience. It is the time of the liturgical year when due to the variable date of Easter, Masses or rather readings not said before Septuagesima are used to fill the weeks before Advent.